Since 1850, the Willard has epitomised Washington luxury hotels and remains a destination for the worlds power brokers and visitors drawn to the nations capital. The hotel is charming and sophisticated, situated in a coveted location: just two blocks from the White House and National Mall. Revered by locals and guests, the Round Robin & Scotch Bar remains a lively meeting place since the days of Abraham Lincoln. After a busy day in D.C., enjoy a relaxing treatment at the full-service spa. Contemporary and urban, The Beacon Hotel was designed to complement the lifestyles of our guests in a setting that is ideal for leisurely pursuits. Thoughtful amenities afford guests the ability to relax and play. Deluxe rooms and suites provide elegant accommodations and that extra measure of comfort that makes guest visits memorable. Every room offers excellent exterior views, and are awash with light, thoughtful appointments, and amenities abound. 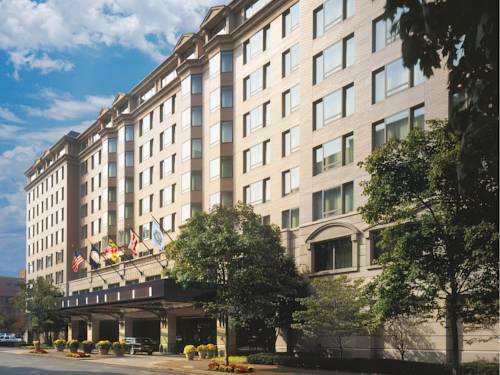 An unmatched location, In the heart of downtown, nestled within the business community, on famed Embassy Row and in the midst of the bustling Dupont Circle community, and within walking distance to The White House, Smithsonian Museums and other attractions give this hotel tremendous location appeal. 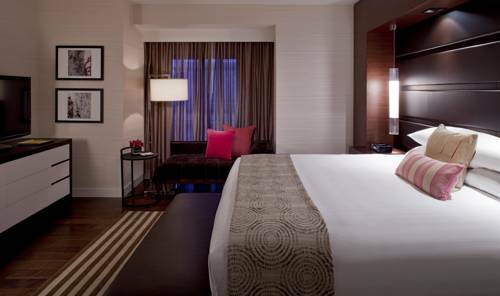 Refined elegance and understated luxury welcome you here at the JW Marriott Washington, DC. 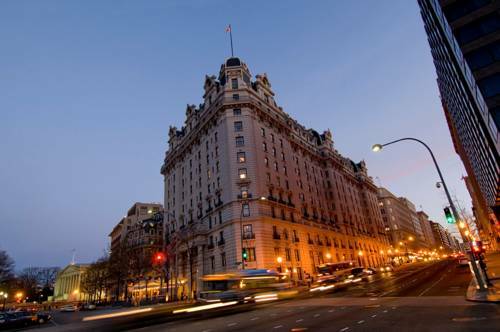 Our hotel benefits from a perfect location in the heart of downtown, near world-famous landmarks including the White House and the National Theatre. Every one of our 772 rooms and suites offer flat-screen televisions, luxury bedding, and Marriott's signature Plug-In technology panels. Additional hotel amenities include a modern fitness center and an indoor pool and whirlpool. Stop by our award-winning hotel restaurant, Avenue Grill, or order room service any time of the day or night. 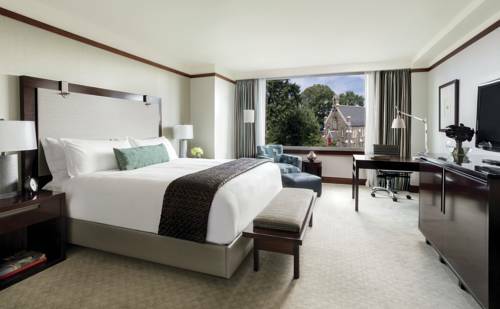 We invite you to experience the charm and quiet luxury of JW Marriott Washington, DC. Located in the heart of the West End, The Ritz-Carlton, Washington, D.C. is the cornerstone of an urban oasis where Washington conducts business, dines and resides. 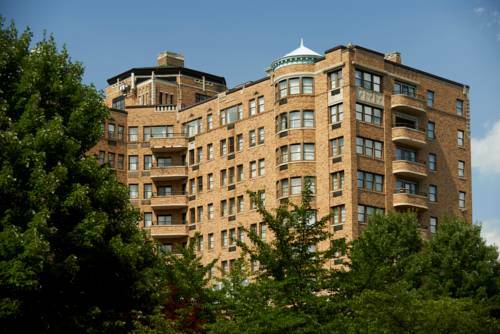 Historic Georgetown, Embassy Row, and all monuments and cultural attractions are just a few short blocks away. In the world's most powerful city, the hotel blends contemporary with the time-honored tradition of The Ritz-Carltons legendary service. 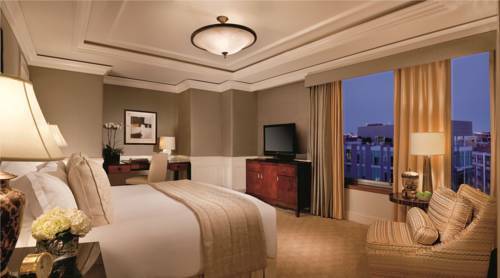 The Ritz-Carlton, Washington, D.C. features spacious guest rooms with city or interior courtyard views, sumptuous bedding, luxurious amenities, and oversized marble baths with a separate tub and shower. The hotel adjoins the 100,000 sq. ft. Sports Club/LA Fitness and Spa facility. Situated prominently in the heart of Georgetown, within walking distance to restaurants, the night life of Georgetown, chic boutiques, and fashionable art galleries. Just moments away from the Smithsonian, all of Washington, D.C.'s monuments and attractions, business district, and Capitol Hill. Overlooking the Tidal Basin, the Mandarin Oriental enjoys a premier address as part of the portals mixed-use development located in the South West sector of the city. 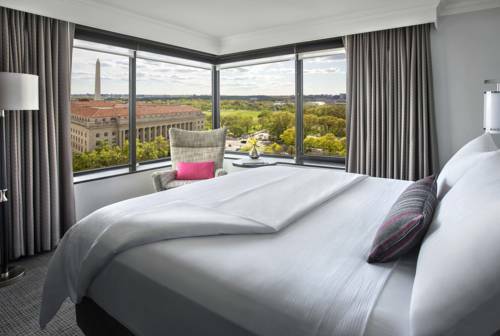 The 400-room luxury hotel is convenient to Capitol Hill the National Mall and the Smithsonian Museums. Combining a unique waterfront setting with a luxurious spa, fine dining options and extensive conference and banqueting facilities, the hotel provides the high level of service for which Mandarin Oriental is renowned. Immerse yourself in the historic elegance of the Henley Park Hotel. Boasting a grand facade of stained-glass windows and majestic gargoyles, our boutique hotel evokes the allure of a stately Tudor mansion. Our charming guest rooms and suites brim with antique furnishings, warm colors, and rich textures. In addition, we offer you a choice of king or queen bedding. Sofitel Lafayette Square represents one of the most exclusive locations in the nation's capital. 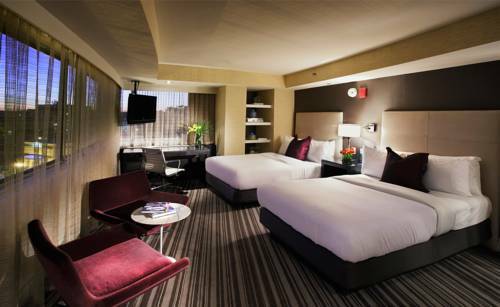 Discover this contemporary downtown hotel, situated at the corner of Lafayette Square, bordering the White House. Our accommodations occupy an updated historic landmark, first erected in 1880. Celebrate Sofitel's 'art de vivre' within this 4-star hotel - marked by distinctive style, superb cuisine, and incomparable service. The Fairmont Washington Georgetown hotel welcomes guests in capital style. A sunlit urban oasis that soothes the spirit, the Fairmont celebrates many local Washington traditions. Known for its engaging service and stylish surroundings, our hotel offers 415 spacious guest rooms and suites that provide guests with a welcome retreat. A relaxing visit to the hotel's fitness center, indoor pool and serene courtyard garden also provide guests with an array of rejuvenating experiences. The Dupont Circle Hotel within easy walking distance of leafy European style avenues with their embassies and cafes and bookshops. It is the perfect base from which to explore the history of this great city and to enjoy its vibrant and hip social scene. 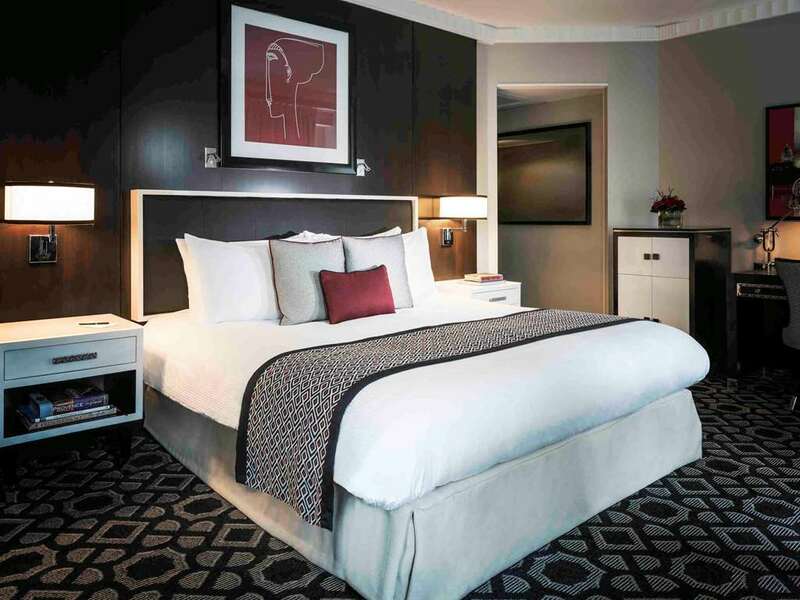 From the beautiful new interior to its sumptuous bedrooms and suites, The Dupont Circle Hotel understated but unstinting quality is evident throughout. Where is this more apparent than on Level Nine. The Level Nine experience includes oversized guestrooms with upgraded amenities floor to ceiling windows glass balconies .hardwood floors daily fresh flower delivery packing and unpacking services that is a fully personalized and tailored luxury experience. Modern twelve story atrium hotel located 5 blocks from the Washington Convention Center and between the White House and Capitol Hill. This upscale hotel offers exceptional value. 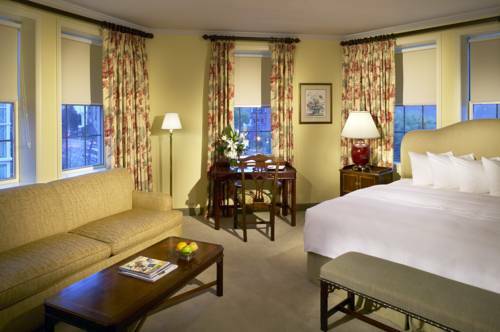 The Four-Diamond Omni Shoreham Hotel offers 836 beautifully-appointed guest rooms and suites. Many of our guest rooms offer spectacular views of the picturesque Rock Creek Park. The health and fitness center offers a heated pool, plus a whirlpool and sun deck as well as a poolside cafe open during the summer. The fitness center and spa facilities can ensure a full workout or a relaxing afternoon. The hotel is located in Northwest Washington only steps away from the National Zoo and near to the many walking-jogging and biking paths of Rock Creek Park.